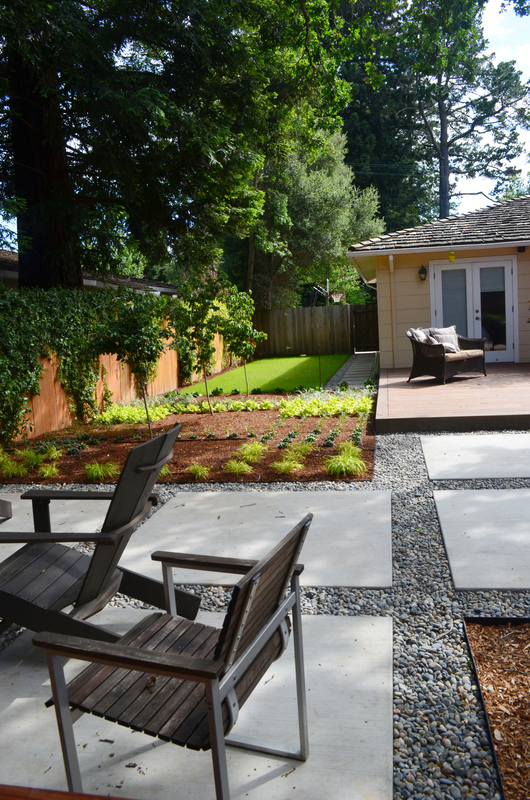 The most successful landscapes incorporate a 'quiet garden' and a 'noisy garden.' 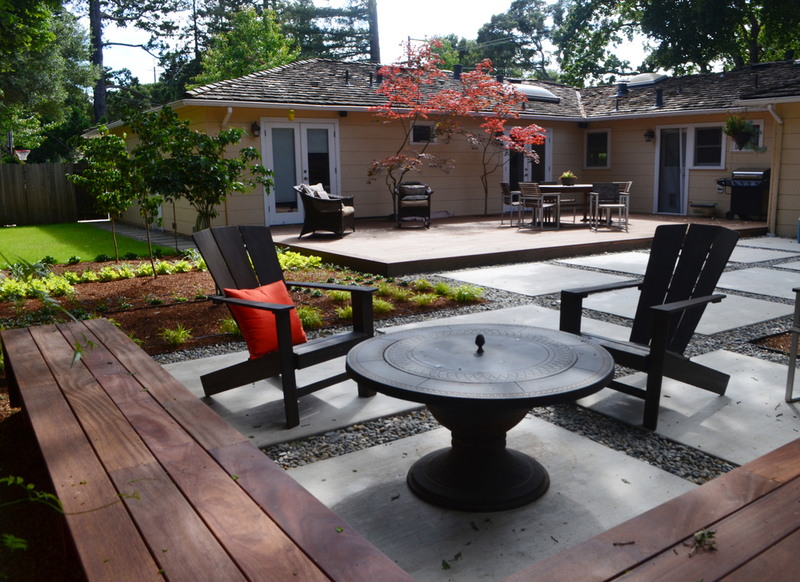 In this family home in West Menlo Park, rectilinear forms are used to carve space and create both: a large wooden deck and narrow lawn provide ample room for dining, cooking and children's play; L-shaped benches and concrete squares enclose a firepit area, perfect for after dark when the children are in bed. 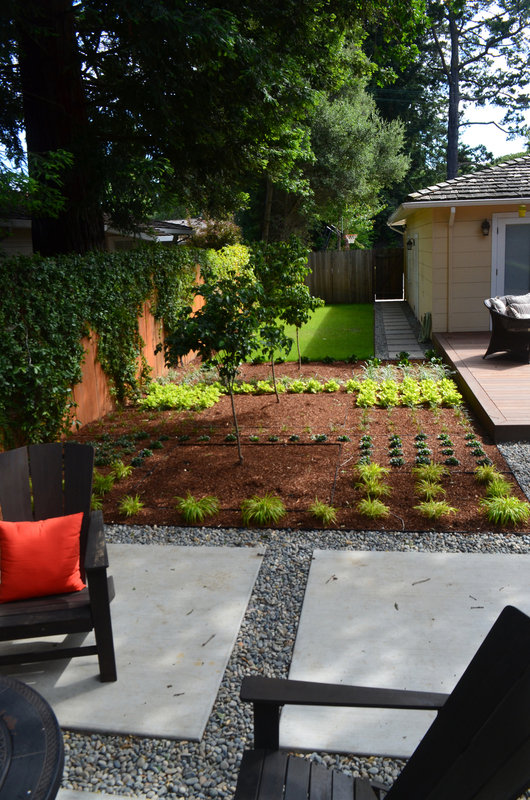 A clean and contemporary planting design in white and chartreuse echoes the grid that links the spaces.